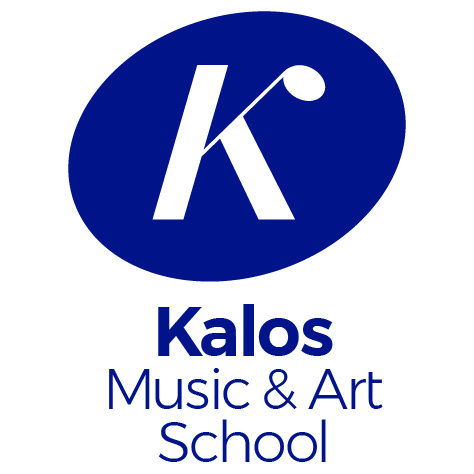 Welcome to Kalos Music & Art School’s last concert of 2018! 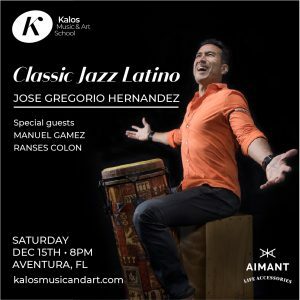 To close the year, we are thrilled to celebrate with our community in an extraordinary evening of Classic Jazz Latino next December 15th at 8:00 pm with renown percussionist and producer José Gregorio Hernandez. José arrives with an outstanding repertoire of American Songbook Standards in Latin Rhythms accompanied with pianist Manuel Gamez and bassist player Ranses Colón. Come and enjoy this Classic Jazz Latino Project and let’s raise our glasses to a fabulous year. José Gregorio, originally from Venezuela, started playing professionally at the age of eleven with an all kids Gaita band. After performing throughout South America, Jose moved to Chicago in 1989 and settled in Miami in 1999. He has become widely known as an upcoming percussionist in Latin jazz, rock, funk, pop, salsa, folkloric and Afro Caribbean music as well as a sought-after clinician. José has been awarded an Emmy Award in 2007 for the best music video and has also been part of percussion arrangements for Ilan Chester’s 2009 album and many other Grammy nominations in, 2010, 2012,2013, 2014. His most recent triumph was to be co-producer and percussionist of Franco de Vita’s, “En Primera Fila DVD/album in which has up to date received 5 Grammy nominations for 2011, and it was awarded 2 Grammys.